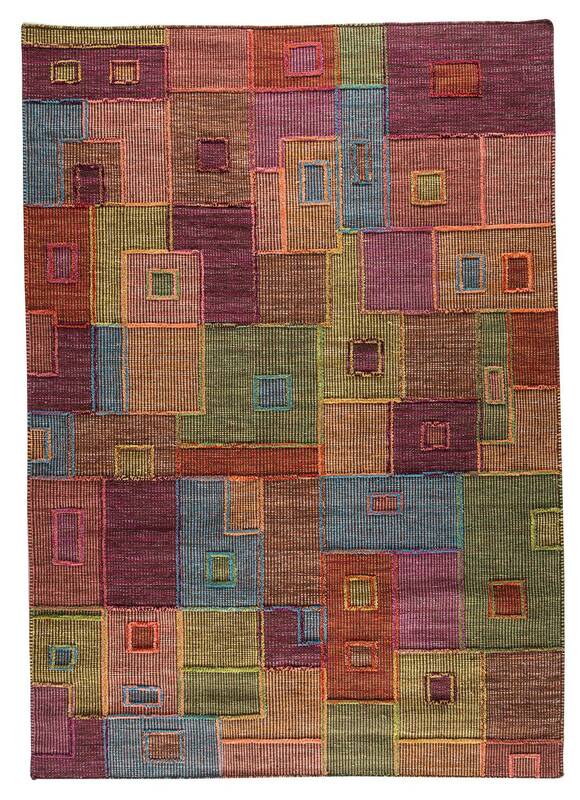 MAT The Basics Khema8 Area Rug - Multi - Swatches may be available. Hand Woven. Contemporary. A fun way to add a creative touch to your styled room, whether it be a transitional common room or an uniquely styled family room, the Khema 8 style features an abstract feel to it that lends a unique touch to your styled room. Squares in the style of patchwork are stacked upon each other in alternating colors that compliment the rug perfectly. 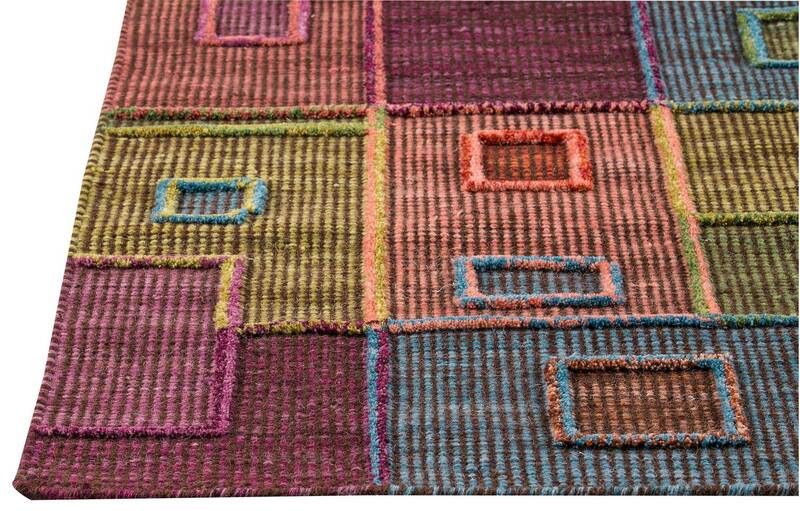 Hand-woven in India, this rug is constructed from New Zealand wool and is available in other size and colorways. Also available in a charming pouf cushion. Hand Woven with 100% Wool. Geometric design. 100% Wool. Pure New Zealand wool. Flat weave with 10 mm of Pile. Flat weave with 10 mm of Pile. Made in India. 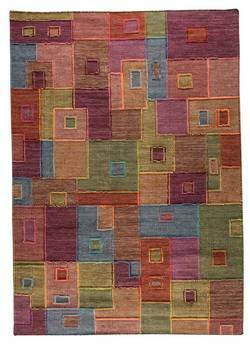 MAT The Basics Khema8 Area Rug - Multi 5'6"x7'10"
MAT The Basics Khema8 Area Rug - Multi 8'3"x11'6"